A “domino effect” is defined as “a cumulative outcome that is produced when a single event initiates a succession of similar events”. Domino’s Pizza Philippines has stayed true to this meaning, and yet has added so much more. The country’s pizza delivery expert has demonstrated that the simple act of receiving a delicious box of Domino’s pizza creates an outward (and contagious) ripple of joy, delight, and cheerfulness. 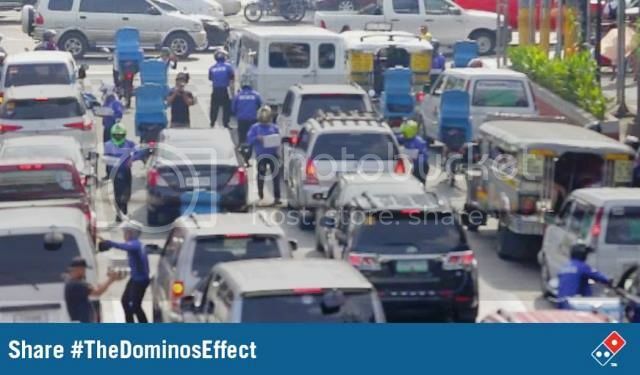 Indeed, it is enough to make you momentarily forget about the weariness and challenges of the day, and instead focus on “love at first bite” – that’s the #DominosEffect !